By 5pm on Tuesday, November 5, word had spread that the Forest Service was granting major logging company Interfor a waiver to log illegally in Mt. Hood National Forest. By 3:30pm the next day, grassroots biodiversity group Bark had stopped the logging. 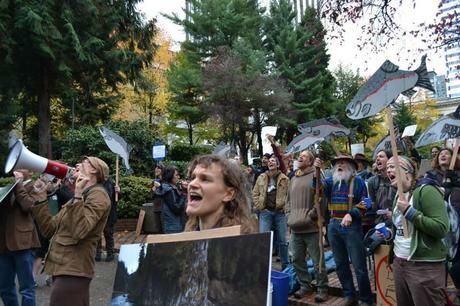 Earlier today, 75 protestors rallied outside of the Forest Service’s office in Portland, Oregon, to give the Freddies a piece of their minds. Here’s how it went down. We received the email that the Jazz timber sale was going to be logged from a staffer at Bark, who heard it from another staffer at Bark, who heard it from a friend, who heard it from a friend close to the Forest Service. Somebody had to go out to Mt. Hood the next day, check out the timber sale, and find out what was going on. The Jazz timber sale is a 30 mile area in the Collowash River watershed. Second generation 50-75 year old conifers stand within the most fragile geological site in the Mt. Hood. The Collowash is habitat for Steelhead and endangered species, and erosion from a vast timber sale would wreck the bioregion. Logging season ends on October 31, so the fact that Interfor would begin logging on November 6 seemed glaringly irregular. At this time of year, logging is not supposed to commence if the ground is wet or uncovered by snow or ice, but we couldn’t stop the logging if we hadn’t seen the conditions for ourselves. We left our homes at 6am the next day, met up at a central location, and drove out to the forest. We found that virtually the entire timber sale had been marked up, perhaps starting before the waiver had been issued (a sign that Interfor may have known about the waiver beforehand). 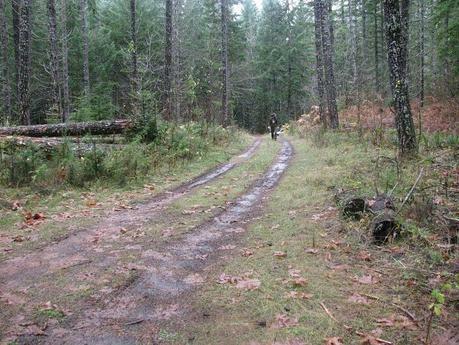 We noted large tread marks on the muddy, broken logging road, and half-expected to find loggers on the job. Nothing could have prepared us for what we saw in unit 37. Amidst the smell of cut wood and a smoldering slash pile, a fifty-year old forest was reduced to stacks of logs along the road. I counted at least 50, and there were more in the unit, itself. One acre had been cleared, and it was only 9:30am. A fellerbuncher lay dormant in the middle of what the Freddies like to call “the artificial meadow,” and a whole forest was marked up with orange spray paint, ready to go under the saw. We had to act quick. By 11am, we had posted the photos to Bark’s Flickr page, and the attorneys at Bark immediately filed for a Temporary Restraining Order against logging. By 3:30am, Interfor and the Forest Service agreed to stop logging until an agreement on the injunction could be reached, 3 weeks from now. The day after, more volunteers went back to the woods, and found that logging had stopped. Bark sent out emails to thousands of people, organized phone trees, and mobilized a protest in front of the Forest Service office consisting of 75 pissed off activists. The Jazz timber sale had been cancelled by the Forest Service last December, but incoming Forest Supervisor Lisa Northrop revived the sale earlier this year without giving any particular reason as to the extraordinary decision. Today, it is known as the Zombie Jazz timber sale, having come back from the dead. During the Resolution Hearing, in which Bark’s lawyers attempted to reason with Northrop about the previously cancelled sale, Northrop proclaimed, “This is not a negotiation!” and proceeded to fabricate stories about economic impact analyses, which she later admitted were false. It is important to note that Bark has three weeks to successfully defend the injunction against logging. However, the logging season has come and gone this year, and loggers will have a hard time explaining how and why they feel they can “sustainably” log the most geologically sensitive region in Mt. Hood while conditions are wet and hazardous. 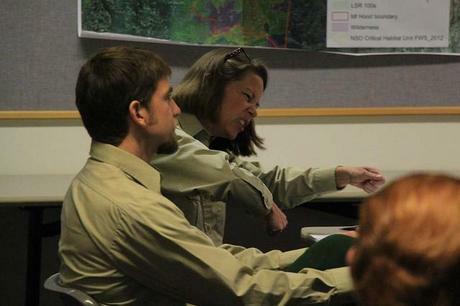 Comments keep rolling in to the Forest Service office from pissed off forest lovers. But for the time being, the sale is halted. Grassroots activist networks, legal expertise, and boots-in-the-woods surveying tactics paid off.